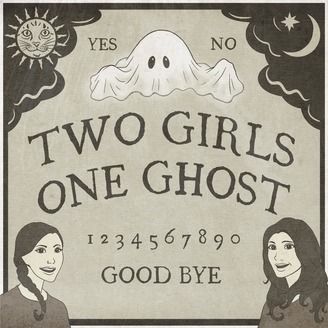 Best friends bonded by their paranormal experiences Corinne Vien and Sabrina Deana-Roga recount their contact with the other side, tell each other ghost stories and invite listeners to join in on the fun. All you really need to know about this episode is...ALIENS. This episode is sponsored by ThirdLove, BruMate, HelloFresh and Lola. ThirdLove is using thousands of real women’s measurements, to design its bras with breast size and shape in mind so that they fit impeccably and feel even better. Go to thirdlove.com/tgog now to find your perfect-fitting bra and get 15% off your first purchase! BruMate's mission is to create the perfect drinking experience by ensuring every sip of your favorite adult beverage is just as refreshing as the first, no matter where life takes you. Get 15% off your first order when you go to www.brumate.com and use our code TGOG. HelloFresh is a meal kit delivery service that shops, plans, and delivers your favorite step-by-step recipes and pre-measured ingredients so you can just cook, eat, and enjoy. For a total of $80 off, that’s $20 off your first 4 boxes, visit HelloFresh.com/TGOG80 and enter TGOG80. LOLA is a female-founded company offering a line of organic cotton tampons, pads, liners and all-natural cleansing wipes. LOLA makes your month a little bit easier and their subscription is fully customizable. For 40% off all subscriptions, visit mylola.com and enter TGOG40 when you subscribe! If you enjoy our show, please consider donating to our Patreon. We promise to make it worth your time and we promise not to haunt you. We have a variety of different tiers that will give you access to bonus content, special shoutouts, discounted merch and more! 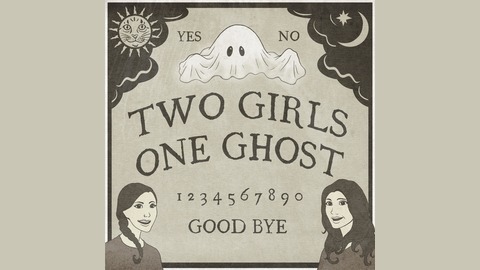 Patreon.com/twogirlsoneghostpodcast. Editing by the awesome Eric Foster at Upfire Digital. Finally, please Rate and Review the podcast on iTunes and follow us on social media! Twitter, Instagram, and Facebook. Original Music by Arms Akimbo!